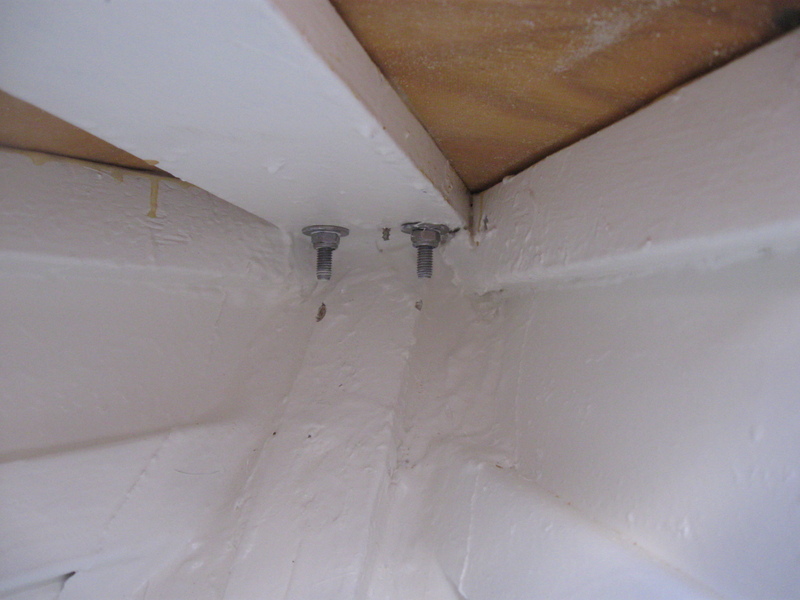 And the impossible shot – the forepeak from the inside, looking at the forestay bolts. There are quite the gaps between the stringers and the deck plate. If I get restless, I might as well put some kind of fillet there. Moisture and whatnot, it likes cracks.